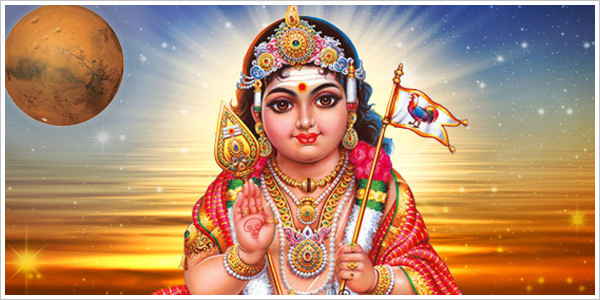 Vaikasi Visakam also spelled as Vaikasi Vishaka is the grand celebration of Lord Muruga’s Birthday in the Vedic month of Vaikasi (Mid May – June) when Vishakha Star rules (Libra). 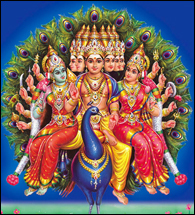 Vaikasi Visakam is observed in a grand manner in all Murugan temples across Tamil Nadu, Kerala, Karnataka and other countries like Singapore, Malaysia, etc. This Year Vaikasi Visakha occurs on June 13th which opens a great window opportunity to gain the blessings of Lord Muruga for a strengthened and successful life. The Star “Vishaka” is considered to be very auspicious, as most of the saints like Siddha, Munivar, Gyanikal, gurus, geniuses and great people like Buddha have born in this Star. Lord Muruga born in this Star is referred to as Gnyana Pandita(Gyanam), which denotes the authority on wisdom. Lord Muruga was divinely created when a power was needed to rescue humanity from the demon Surapadman who was wreaking havoc on the earth plane. Lord Muruga also known as Skanda or Karthikeya, is known for courage, beauty and intelligence. He is the source of ‘Om’ and He blesses with health, wealth and knowledge. He has the power of 3 Goddesses – Parvati’s courage, Lakshmi’s wealth and Saraswati’s knowledge. Lord Muruga is the supreme commander of the celestial army, is a dynamic soldier and a fearless defender of righteousness. He is the rescuer. Prayers offered on this auspicious day helps to empower you with wisdom, energy and will grant all your wishes. Lord Muruga is also known as Arumugam meaning 6 faces, through which He can see towards East, West, North, South, Sky and Earth. The 6 faces are made up of the 5 of Lord Shiva plus the Face of Goddess Uma Devi. The 6th face can only be seen by the wise. This is symbolic of the 5 senses that lead to the 6th sense which is represented by ‘Atho mugam‘. Lord Shiva, the 5 faces, blesses people with the comforts of the other world while Goddess Parvati, the 6th face, blesses people with the comforts of this world. Lord Muruga in this form blesses people with the comforts of both the worlds. He is the God of Nature as He directs Nature. He safeguards all living creatures in it. You can also get blessed with his positive by learning the secret of Powerful Mantra “Om Saravanabava“. SA-RA-Va-Na-Ba-Va – Each of the 6 syllables is dedicated to the 6 faces of Lord Muruga. It denotes both the intellectual and spiritual qualities with complete vitality. Also, it qualifies to lead a life of truthful existence. Astrologically there is a yoga* that is formed on this day, this year. Jupiter, the great benevolent manifestor, will be placed in the 7th quadrant to the Moon, which is called ‘Gaja Kesari’ Yoga and can bestow a Kingly position. At the Tiruchendur Temple in Tamil Nadu, Lord Muruga is dressed as an Emperor, ‘Chakravarthy Alangaram’, and given a milk abhishekam. As a benevolent Emperor, he takes audience with his subjects to listen to their needs, take care and provide for them. His qualities can become our qualities as He blesses from the 2 worlds.